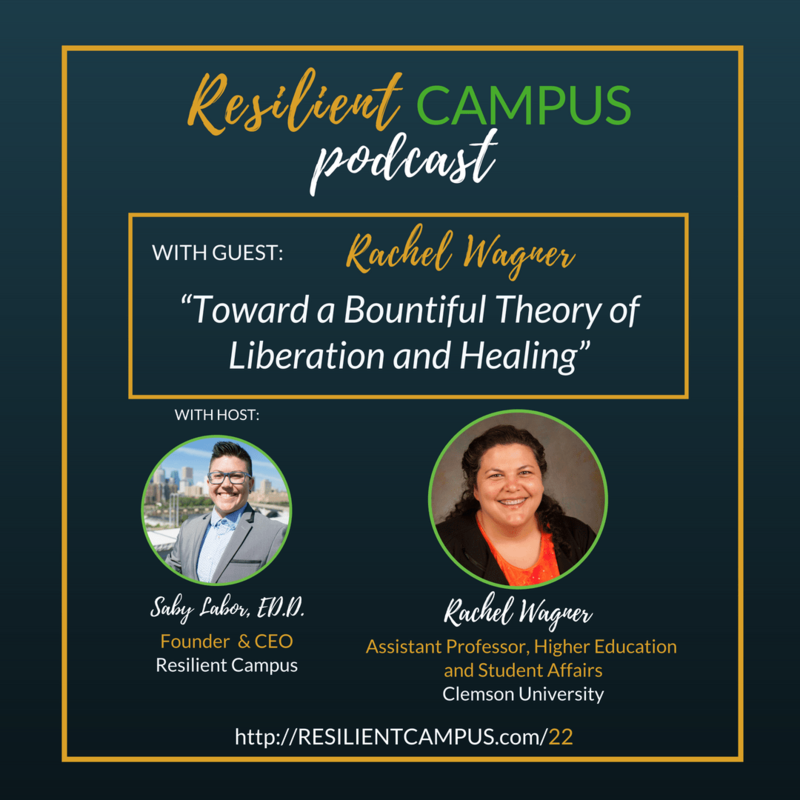 In episode 22, Rachel Wagner shares her salient identities and expands on the work she is engaging in today as an Assistant Professor at Clemson University. She uplifts the theory of liberatory consciousness and provides us a powerful reading list of resources that inform her work as a social justice educator. Rachel shares a lesson learned and an important piece of guidance for other professionals doing the work today. Rachel Wagner is an assistant professor in HESA at Clemson University. She completed her doctorate in social justice education at the University of Massachusetts Amherst. Prior to her faculty appointment at Clemson she served for 16 years in progressively responsible positions in housing and residence life.